“For sale. Baby shoes. Never worn.” Hemingway’s finest short story was written for a $10 bet, has never been bettered and hints at an entire universe of love, loss and grief in its three two-word sentences. Most short stories occupy a more generous compass, but as with the Hemingway classic, there has often been a suggestion that divides the short story writers from the other kind: short stories are what you do for fun, real writing is more serious. This means that you, the reader, are often shortchanged—as is evident from this year’s Booker longlist. The reports in India focused on the absence of subcontinental writers from the longlist, but the bigger question is why the Booker would continue to ignore short stories as a genre. To offer just one example of what’s missing, consider Kazuo Ishiguro, who has been shortlisted (and won) in the past for several of his novels, but who is absent from the Booker longlist in a year when his collection of music-themed short stories, Nocturnes, has been widely acclaimed. In my brief stint in publishing, I quickly learned that literary agents and publishing houses abroad won’t look at short stories, no matter how promising. It’s a circular argument. While it’s easier to publish short story collections in India than in more fiercely competitive markets, many publishing houses still remain wary of commissioning short stories, because of the traditionally low sales for this form of writing. There are exceptions—writers like Jhumpa Lahiri and more recently, Palash Krishna Mehrotra made their debuts with acclaimed collections of short stories, but they remain outliers. In the US, where the once-formidable magazine market for short stories has crumbled, most agents will advise their authors to concentrate on writing the far more publishable novel, rather than the hard-to-place short story collection. This has an often bizarre effect on a writer’s work, pushing many who are temperamentally short story writers at heart to attempt a form that they never quite settle into. Some writers, like Rana Dasgupta with Tokyo Cancelled, Banana Yoshimoto with Asleep or David Mitchell with Cloud Atlas, have created a hybrid between the short story and the novel, where a running thematic link, or characters who play cameo roles in successive stories, provide a sense of novelistic connection. It’s far more common to “discover” a writer’s short stories only after s/he has made their bones as a novelist—so Aravind Adiga’s short stories, which predate White Tiger, were released only after the success of the novel, or Junot Diaz’s early collection, Drown, emerged in non-US markets only after The Wondrous Life of Oscar Wao has come out. Readers will, of necessity, be reading out of chronological order, but at least they’ll get to see the breadth of a writer’s work. There are signs that the three-to-four decade-long obsession with the novel at the expense of the short story might be changing. Some of this has to do with the power and clout exercised by better-established writers; some of this has to do with the influence of major prizes, such as the Man Booker International and the Pulitzer. And, I hope, some of this may have to do with the changing tastes of the reading public; if publishing is faced with a growing demand for short stories, the industry can no longer hide behind the excuse that “short stories don’t sell”. Earlier in 2009, the Man Booker International forced a re-examination of the importance of the short story when it handed the award to Alice Munro. Over four decades, Munro has published 16 collections of short fiction, and for years, criticism of her writing centred around the fact that she was “only” a short story writer, and had never attempted anything more ambitious. In closing, here are a few suggestions. John Updike’s My Father’s Tears examines the world, 9/11, marriages and relationships from the perspective of the elderly and the ageing. 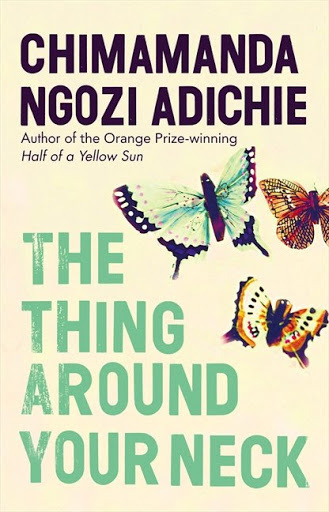 Chimamanda Adichie’s The Thing Around Your Neck takes you into the world of a man in jail, the politics of a writing workshop and allows you to see America from the perspective of its newest arrivals. Kurt Vonnegut’s unpublished, often viciously funny early work is out in October, captured in Look at the Birdie. 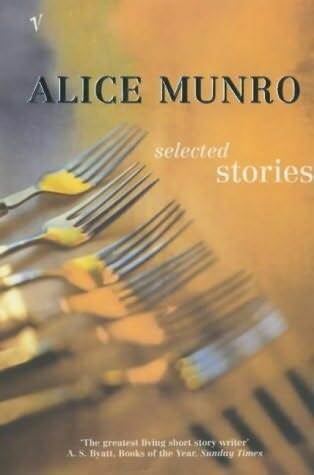 And Alice Munro’s Too Much Happiness offers nine stories that deal with disfigurement and the loss of children, among other things. That heap of novels can wait for a while. (Links: My Father’s Tears, by John Updike, in the New Yorker. Cell One, by Chimamanda Adichie, in the New Yorker. Dimension, by Alice Munro, in the New Yorker. I always thought Short Stories and Novels are a bit like one day matches and test cricket. It's the same game, but one dayers are so many different from a test. In every national team, you'll find that a few players are very good at both, a few are very good at one and rubbish at the other and most are very good at one and average at the other. Jhumpa Lahiri's short story collection is exquisite. It's the temperament-some days you need the short story, some days the novel. The two should never be compared. Unfortunately, publishing does not treat both the same way.